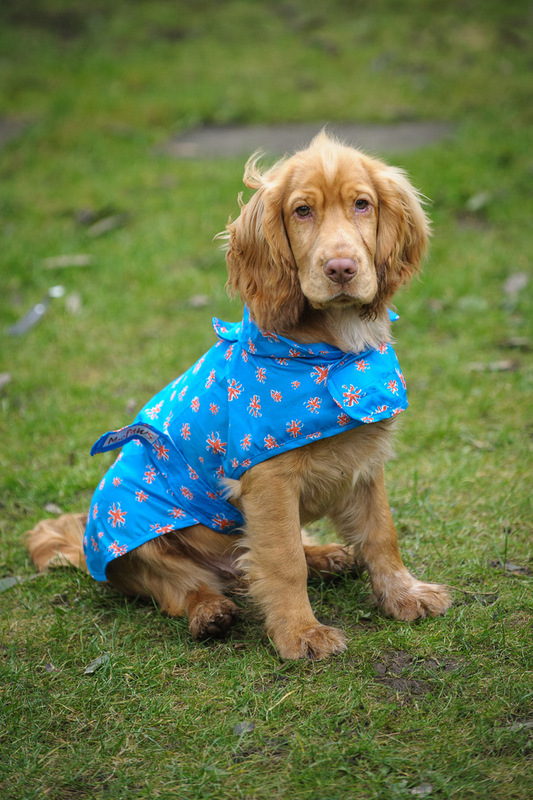 Who lets a spot of wet weather spoil their walkies? Being a spaniel, Barney positively rollicks in the rain – rolling around in the wet grass with (or without) any dog he can get to play with him. As a result he often ends up the wettest of wet dogs. Which is where this neat and nifty little mac comes in handy. 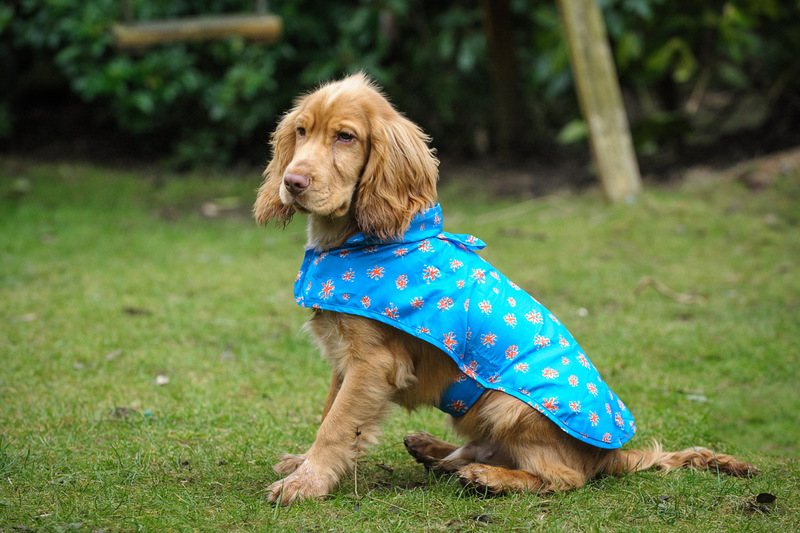 Folded in a pouch that’s easily attached to your lead or belt loop, it’s easily popped on your pooch if you get caught out in a shower and helps limit his state of sogginess! You simply attach velcro straps under the neck and tummy. There’s also a loop on it that you can attach your regular harness to. It washes easily in the machine – and there are six sizes and three designs to choose from. We think Barney looks super-smart in his mac. Why not have a neutral colour like black or grey when people don’t want bright colours?